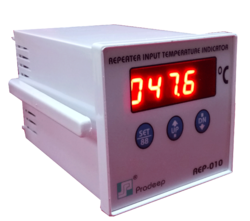 Leveraging on the support of expert professionals, we are able to manufacture, supply and export Industrial Repeater. 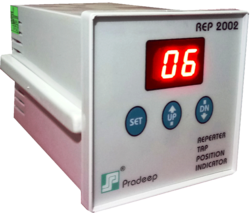 Under the offered array, we have REP-010 for WTI & OTI, REP 2002 for TAP and 2.8k Input Repeater. 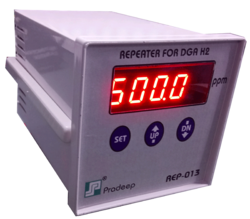 Our professionals hold expertise in this domain and manufacture these repeaters by making use of the best grade raw material while keeping in mind the industry set quality standards and norms. Post production, they check these repeaters so as to ensure their flawlessness. Patrons based in varied regions can avail from us best grade REP 2002 for TAP. 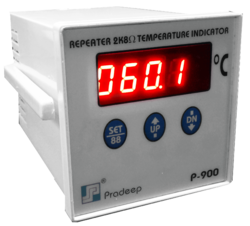 To ensure that offered TAP position indicators give reliable performance, we manufacture these using supreme quality raw material and latest technology. After the completion of the production process, we make these TAP position indicators pass a quality check so as to get relieved on their quality front. Patrons based in varied regions can avail from us best grade REP 013 for TAP. To ensure that offered TAP position indicators give reliable performance, we manufacture these using supreme quality raw material and latest technology. After the completion of the production process, we make these TAP position indicators pass a quality check so as to get relieved on their quality front.